Did you know, that the enamel on your teeth is a strong service in your body? Even stronger than bones! However, even the toughest of teeth can be sensitive, especially in certain seasons. 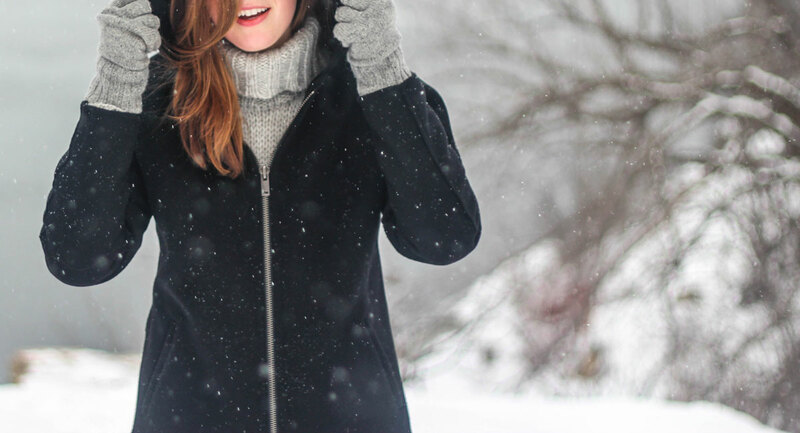 Here’s how winter can cause your teeth to be sensitive. Have you ever drank a warm cup of coffee, or a freezing cold icy? Then you know the feeling of that quick, zing-like shock you sometimes feel in your teeth. That is actually caused by oral sensitivity to extreme heat or extreme cold. So how do your teeth become sensitive to triggers like this? Overtime, your teeth get microsized cracks in them, due to their expansion and contraction to hot and cold stimuli. This creates holes through your enamel, which allows for hot or cold air, foods, or drinks to impact the core of your tooth. The core of your tooth is riddled with nerves – making activities as simple as breathing or eating and drinking extremely painful to do. This is just the same with the weather. In the winter, when we breathe in the icy cold air, your teeth reacts based on the amount of cracks your teeth have in them. It’s a natural response to heat or cold, however, if you are noticing your teeth becoming sensitive to more and more stimuli, it might be best to see your dentist in regards to the condition of your enamel. Have questions regarding the sensitivity of your teeth? Give Dental Specialty Associates a call today! (602) 795-5995.